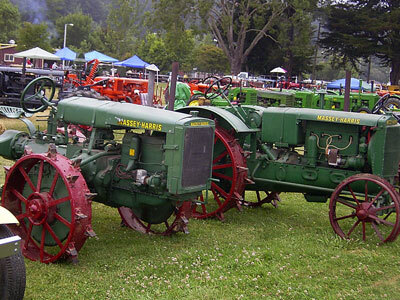 A living snapshot of agricultural and mechanical inventiveness, North California Antique Gas & Steam Engine show at the Fortuna Redwood AutoXpo in Fortuna, California is an activity and historical learning center focused on early American farm life. Its collection of tools and equipment, dating from the mid-1800s to the early 1960s, is preserved and presented over a spacious grassy area in Rohner Park. The antique tractor and farm equipment show is a unique draw for thousands of spectators. A team of hundreds of volunteers keeps the collection in working condition for demonstration during on-site events throughout the show.